One of the cultural itineraries in the international scene has been recorded and studied in a number of publications, film, or even musical productions. How to forget the famous song A Santiago voy of the Spanish band Los Tamara, that turned into almost a hymn of the pilgrimage to the capital of Galicia. The truth is that the Way of St.James is likely to star in any artistic, cultural or scientific demonstration, and have not been few celebrities, attracted by the many charms of the Jacobean Route, have decided to experience the mysticism that surrounds it. 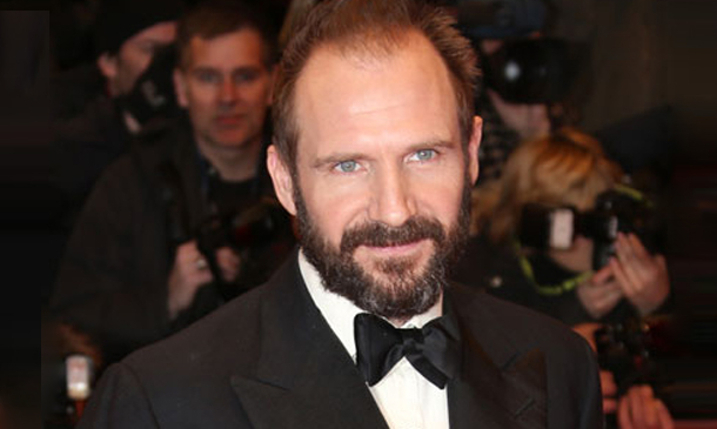 The British actor, famous for giving life to the dreaded Lord Voldemort in the Harry Potter saga or embody a SS officer in the drama Schindler’s List, is doing the Way during these days. Specifically, he has been seen in several localities of the Galician coast as Finisterre, Carnota and Muros. Apparently what prompted the interpreter to perform one of the sections of the road was the link of the laws of his brother Joseph —also an actor— with Galicia. They have a house in Pena Folenche, located in A Pobra de Trives, in the province of Ourense. The Brazilian-born writer decided to undertake a journey to the holy city in 1986. This set off from the French town of Saint Jean Pied de Port and reached Santiago days later, leaving behind a wealth of experiences and sensations They helped him to grow spiritually and personally. At least this is what is reflected in his novel The Pilgrimage, a work that marked a before and after in the perception to be had, internationally, of the figure of the pilgrim who completes the journey to the city of the Apostle. 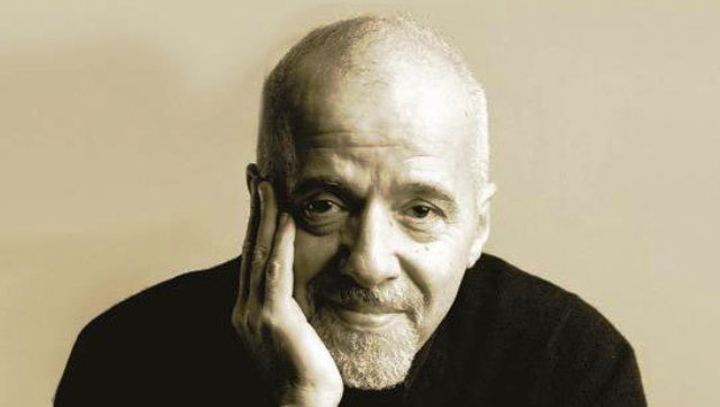 To the surprise of many of his followers, Coelho confirmed earlier this year that he had not finished the route, but had thrown hand, in the parish of O Cebreiro Lugo, a means of transport that facilitated the arrival at his destination. Despite this, the author claimed to have found what he wanted to capture in his book along the stretch done on foot. Like Paulo Coelho, actor Martin Sheen, Galician descent, also took Saint Jean Pied de Port as the starting point for his journey. The adventure of Martin, directed by his son Emilio Estévez and collected later in the movie The Way, was a special tribute to his grandfather Francisco Estévez, a Galician immigrant born in the town of Salceda de Castelas, province of Pontevedra, that was established in the US city of Dayton in the state of Ohio. 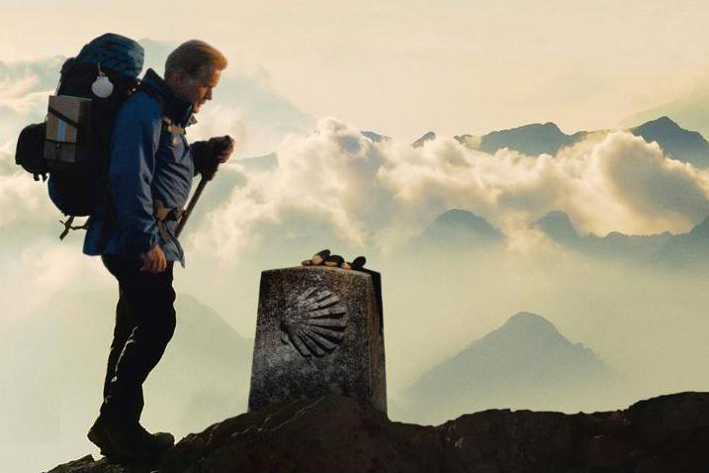 In the film, Sheen plays Tom Avery, a ophthalmologist from California who, after the death of his son in the Pyrenees, decided to undertake the adventure that the latter had wanted to live, the Way of St. James, carrying his ashes along the pilgrimage. The year 2012 was chosen by the international model Jon Kortajarena for his pilgrimage to Compostela. He completed his trip to Easter and broadcast each of its steps through his Twitter account, from which encouraged all his followers to do the Way. 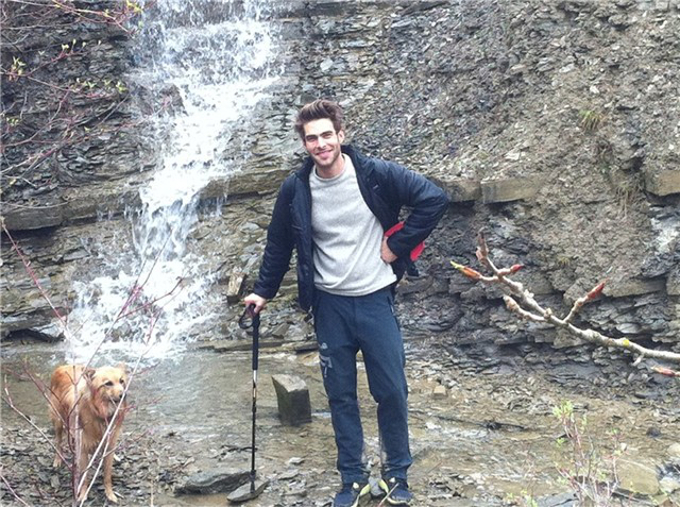 Kortajarena described the route as exceptional not exempt from the exhaustion that could be alleviated resting in contact with nature, which he himself described as “the best therapy that he had proven”. 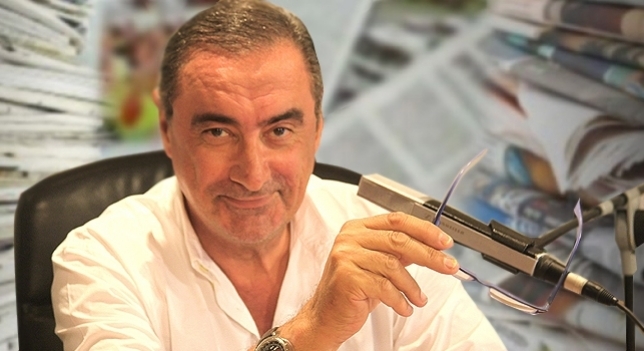 One of the most experienced journalists in our country, Carlos Herrera, has confessed several times his affection for the Way, a route that he has been taking over the last 17 years while on vacation. Herrera completes the itinerary for a week and do it alone because, as he himself has acknowledged, this experience helps him to see things from another perspective and to relativize, marshaling every one of his priorities. Spirituality and anecdotes in the beautiful Galician and Asturian landscapes, are the favourite parts of the Way to the speaker. The hardest thing, from his point of view, are some of the most difficult stretches where, as he confessed, “he curses the ancestors of the Apostle.” As Koratajarena, Carlos likes to share his experiences on Twitter. 1994. One of the stars of Hollywood’s most successful movies arrives in Santiago de Compostela after completing the last stage of 30 kilometers from the town of Arzúa, in the province of A Coruña. 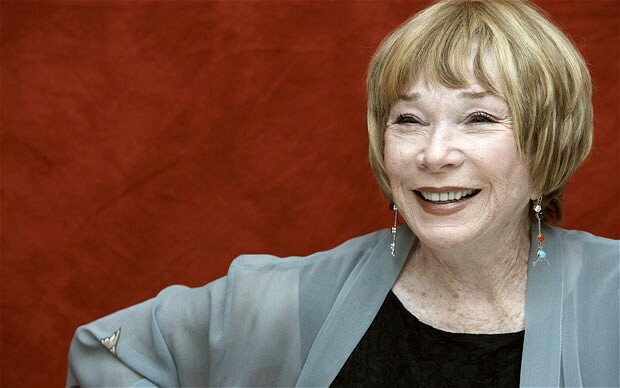 Shirley MacLaine, star of such films as mythical as The Apartment or Irma la Douce, both directed by Billy Wilder, began its journey from Roncesvalles by prescription, to be going through a bad time staff. The Way had such a great impact on the actress that she decided to publish, in 2000, the book The Road. A journey of the spirit. In the play, Shirley tells every one of the spiritual revelations experienced during the journey, and the troubles arising from physical exhaustion produced during long daily walks. 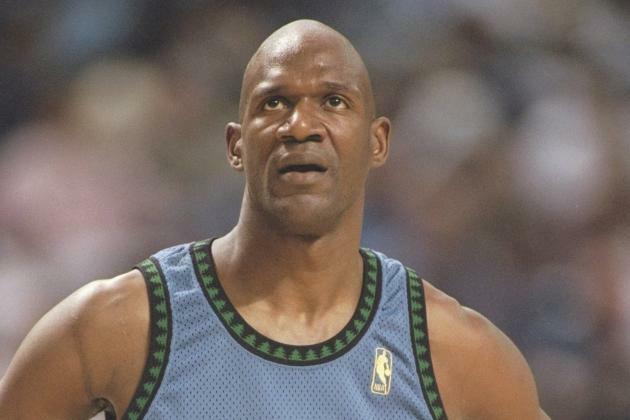 Former NBA player Terry Porter arrived in Santiago in May, having been part of the road, in particular the final section, along with managers, players, coaches and fans of Obradoiro, the ultimate team of Compostela. Who was based on the Portland Trail Blazers since the late 80s to early 90s, highlighted upon arrival aspects such as the cultural exchange that he had been carried out during the journey, as well as Spanish food and the hospitality that he had received in each of the points of its travel. The Almeria-born singer completed the Way in 2009. He did a bike starting from Roncesvalles with the aim of making sport and had a company of exceptional people. 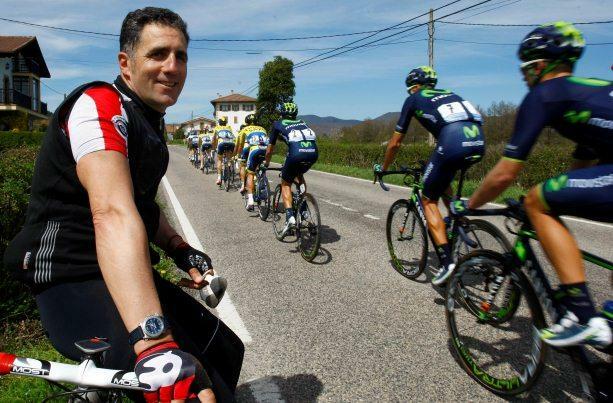 Three of the best cyclists of Spain, Miguel Indurain and Abraham Olano Roberto Heras were the companions of David Bisbal along the nearly 750 kilometers of the route that separates the Navarran town of the Galician capital. The famous cyclist repeated his experience in the Way last July and did it again in good company. The athlete arrived in Compostela from his homeland, Navarra, accompanied by his countryman, composer Serafin Zubiri and the former motorcycle rider Sete Gibernau. This time, the route was 900 kilometers divided into six stages. The two leaders met at Santiago de Compostela in August last year 2014, a week before the European Council meeting in Brussels. Already in the Galician capital, they took the opportunity to move to the village of O Pedrouzo Coruña, where they performed one of the sections of the Way. 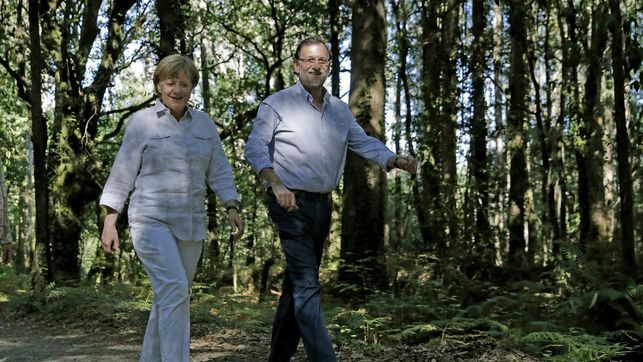 Merkel and Rajoy traveled about 6 kilometers in one hour and, once in the Obradoiro, the visited the main points of the city of the Apostle and enjoyed its gastronomy. 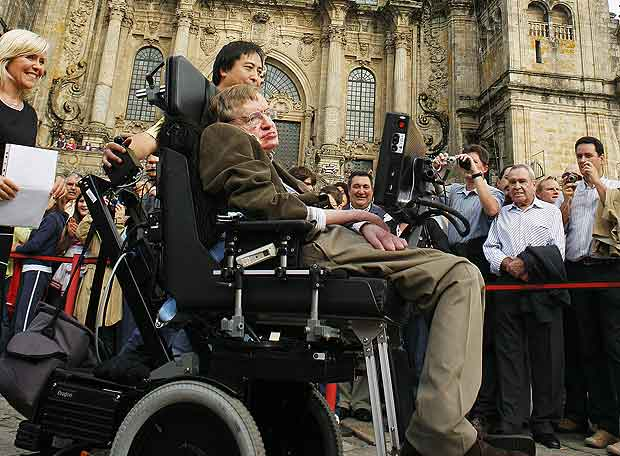 British scientist winner, among many others, of the Prince of Asturias Award for Concord in 1989 and the Copley Medal in 2006, toured symbolically, in 2008, a stretch of the Way of St.James, a city that came to I collect Fonseca Prize of scientific popularization. There were two reasons that led the bullfighter to redo the Way in 2006, after sixteen years. On the one hand, the search for a peace that would allow him to move on after having gone through a bad personal situation following the loss of a loved queridos.Por the other, achieving a better level of fitness. With these two premises, the right-hander departed from Burgos along with two of his brothers, and along the way, exchanged views with crowds of pilgrims, something that stood out as the most positive of his journey. 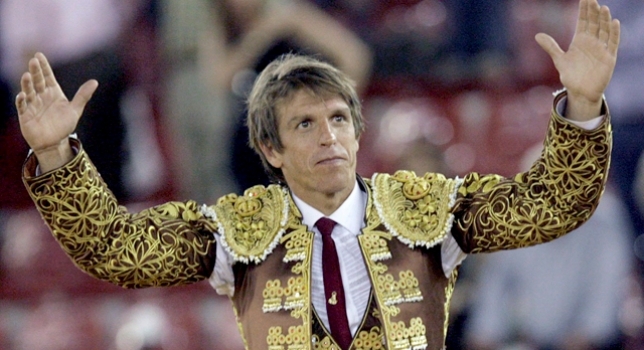 From one bullfighter to another who chose 2004 to leave for the Galician capital. 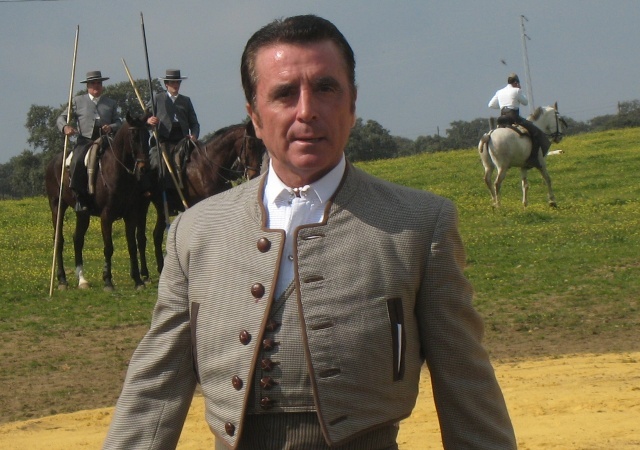 Manuel Díaz “El Cordobés”. Little is known of the details surrounding the voyage of the matador, as he decided to live the experience as any other pilgrim, avoiding media coverage as far as possible.